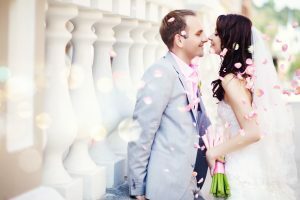 A U.S. citizen may file a petition for a fiance to obtain a K-1 visa to come to the U.S. to marry within 90 days and file for adjustment of status to legal permanent residency. Fiancé visa is issued by the U.S. Consulate in financé’s home country. It is not possible to obtain a fiancé visa while person is in the United States. U.S. Permanent Residents may not petition for a K-1 visa. The petitioner and the beneficiary must have previously personally met each other within two years of filing the petition. There is a rare waiver available when there is extreme hardship or long established customs explaining the failure to meet personally. The K-1 fiance must intend to come to the U.S. only for the purpose to get married to the U.S. citizen petitioner. Signed declaration of intent to marry must be submitted with the petition. The K-1 fiancé visa holder must marry the U.S. citizen petitioner within 90 days of entry. Minor children of the K-1 fiancé can accompany their parent and obtain a K-2 visa and a green card. The U.S. citizen files Form I-129F with US Citizenship and Immigration Services (USCIS) in the U.S. If approved, USCIS forwards the approved petition to the U.S. Consulate abroad for further processing. The U.S. Consulate in the fiancé’s home country interviews a fiancé and, if approved, issues a K-1 visa and K-2 visa for fiancé’s children, if any. The K-1 fiancé enters the U.S., and must marry a U.S. Citizen within 90 days. Upon marriage to the same petitioner, K-1 fiancé becomes eligible for permanent residence (green card) and file the adjustment of status application. Upon approval of the adjustment of status application, K-1 fiancé becomes a permanent resident of the United States. K-1 fiance may marry only the same petitioner who filed a petition. If K-1 fiance does not marry the original petitioner, he or she will be in violation of the immigration laws. If fiancé marries someone other than the original petitioner, he/she will be ineligible for adjustment of status and will be subject to deportation.